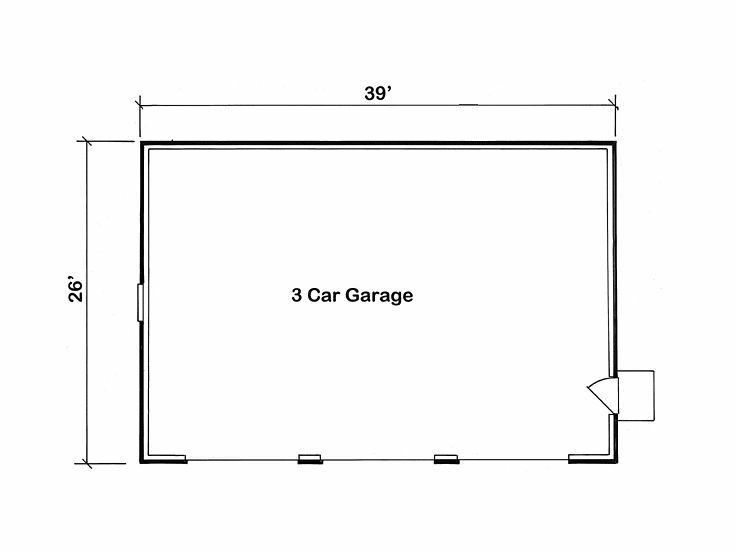 3-Car Garage Plans | Traditional Three-Car Garage Plan # 047G-0025 at www.TheGaragePlanShop.com. Width 39 ft. 0 in. 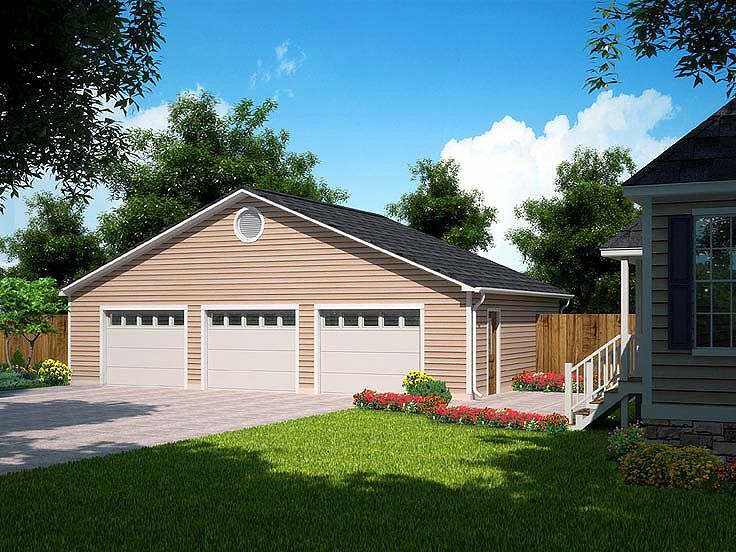 A reverse gable roof line and siding exterior give this 3-car garage plan simple style. Three overhead doors open to the triple-bay garage offering plenty of room to park the family vehicles or store other large items like ATVs, motorcycles or a canoe. 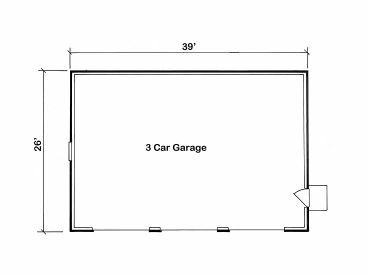 This flexible plan also allows the opportunity for storage of a couple cars with plenty of room for a workbench or even storage cabinets. A side entry service door provides convenient entry. Whatever your needs might be, this 3-car garage plan is ready to accommodate you. Plans include both 8’ and 9’ ceilings.